I finally reached the final page of my Inktober sketchbook! Finally my extension of Inktober could come to an end. So many of my illustrations have been inspired by horror movies that I thought it would be fitting to close with another reference to a horror movie. 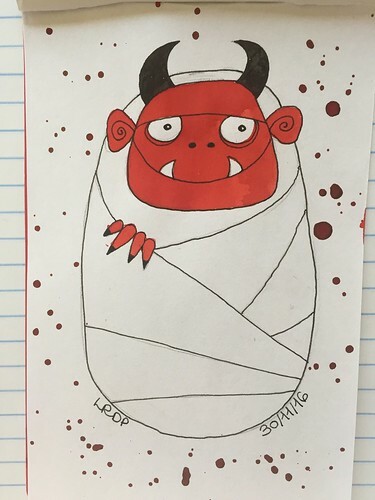 I decided to depict Rosemary’s Baby or how I want to imagine that little devil baby looks. I think the resulting illustration is of a baby a wee bit monstrous but fairly adorable.